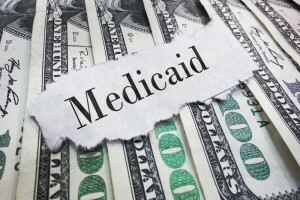 Which Recipients Are Exempted from A Period of Medicaid Ineligibility Triggers? Transferring assets is one of the most complicated aspects of planning ahead for Medicaid. In fact, it often requires a knowledgeable estate planning attorney who has been practicing in the field for many years to give you a better understanding of what is required with regard to Medicaid asset transfers. A well-meaning asset transfer could end up becoming a significant problem if it triggers a period of ineligibility during which the person who desperately needed that support and payment is no longer able to tap into Medicaid. Transferring assets to certain recipients will not trigger a period of Medicaid ineligibility, however. The following people are considered exempt recipients. A disabled or blind child. A spouse or a transfer to another person as long as the transfer of those of assets was for the spouse’s benefit. A trust for whom the beneficiary is a disabled individual under age 65, who is the sole person to receive the benefits of the assets. A trust created for the benefit of a disabled or a blind child. 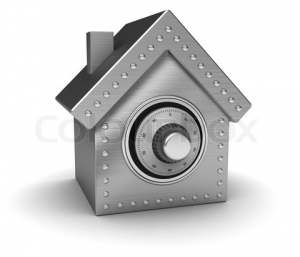 Furthermore, there are special exceptions that apply to the transfer of a person’s home. 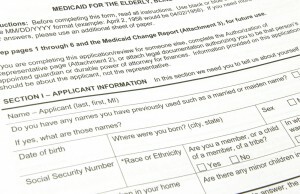 A Medicaid applicant may be eligible to transfer his or her home to other individuals without incurring a transfer penalty, but due to the fact that Medicaid rules can be especially complex, it is strongly recommended that you can consider a consultation with a knowledgeable estate planning and elder law lawyer who is familiar with the state-specific rules and can help advise you about the process. The support of an estate planning attorney is instrumental in outlining your long-term goals and helping you to avoid mistakes that could be especially problematic for you or your loved ones into the future. A consultation with an estate planning attorney can be the first and one of the most important steps in the planning process. 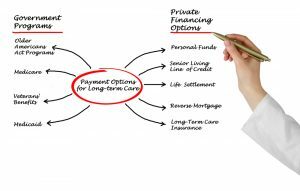 Long term care is extremely complicated and very expensive and simple errors in your planning or in the submission process can cost you in a big way. The motivations behind Medicaid planning are to be as organized as possible and to ensure that you get the support that you need when you need it most. 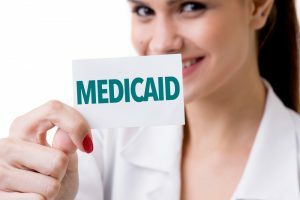 Medicaid crisis planning can still be effective; however, it is far better to work many years in the future towards establishing a Medicaid plan that considers all of your unique needs and family dynamics. The sooner that retain the services of an estate planning attorney who works in the area of elder law and helps numerous people with target Medicaid plans, the more confident you will feel about your own future. A Medicaid planning attorney will understand the complexity associated with resources, monthly income and financial eligibility limits. They will also advise you on how to use different tools such as trusts to ensure that your assets are protected. Every state has different Medicaid rules, which is why you should work with an attorney in your individual state. Some of the most common reasons to engage in Medicaid planning sooner rather than later are to ensure that a family’s limited assets are protected and to have peace of mind that the next generation can afford an education or live in a home, to ensure that a healthy spouse staying in a home will still maintain financial resources and continue to do so if you need to leave the home and receive care in a facility, and because the process of applying and having your case reviewed is very time consuming. A Medicaid planner who knows the ins and outs and also the common missteps and problems associated with this process will help to protect you and your loved ones for many years to come. You can never anticipate when you may experience a challenge that could leave you incapacitated or in need of long term care. So, make sure that you have an attorney at your side as soon as possible. Planning ahead can make things easier for you and your loved ones, even if you are not currently affected by a disability or a medical condition that could lead you into a nursing home. If you do comprehensive estate a minimum of five years before you would need to enter a nursing home, you can help to protect a large portion of your assets from having to be spent on long-term care. Seniors may wish to consider getting some of the assets out of their own name and into their kids’ names. An estate planning attorney and a financial advisor are both recommended, so that you avoid consequences associated with poor Medicaid planning. Trust planning to help protect your assets can still enable you to have control over the distribution of these assets and know that you will likely be entitled to take advantage of Medicaid when it becomes available to you. Consulting with an experienced estate planning attorney is often the first step in identifying what you need to do to protect your loved ones. Although it might seem difficult to look into elder law planning many years before you might actually need it, it is often these unexpected surprises that can generate concerns for you and your loved ones. Avoid a guardianship proceeding and other challenges associated with long term care planning, by scheduling a consultation with an estate planning lawyer today. Knowing your rights as it relates to Medicaid can be extremely important if you intend to qualify for this government program. 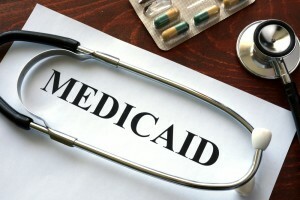 Federal Medicaid regulations mandate that a state obtain reimbursement from an individual’s estate for the cost of long term nursing facility services, as it relates to Medicaid. The service may put a lien against a person’s personal or real property by a New Jersey Medicaid program as a way to secure reimbursement for services. In New Jersey, this Medicaid program carries out two types of Medicaid liens. The first is a pre-death lien placed on a person’s property prior to death. An estate recovery or a post-death lien is filed after the death of the recipient. After an individual enters into the Medicaid program and is classified as permanently institutionalized, a lien is filed against a property to prevent assets from being transferred out avoid a Medicaid lien. This can have significant implications for your estate planning process and for that reason, should be discussed directly with a knowledgeable lawyer as soon as possible. Having a loved one experience a health event that may prompt more intensive care presents a lot of unique challenges for all family members. It can be a confusing and frustrating time with limited decision-making options. Given the rules regarding the Medicaid look-back period, it can be difficult to maximize asset protection and get the most out of planning ahead for Medicaid. The reality is that for many families, the first time they consider Medicaid planning is during a time when it’s too late to make advanced planning strategies work. No one wants to think about health deterioration for a loved one or themselves, however, doing so can help to ensure that someone does not have to spend down their own assets in significantly prior to qualifying for Medicaid. Meeting with an attorney years before considering Medicaid has a lot of benefits. It allows you to consider how you’ll handle your assets now and increases the chances that you’ll be able to pass on assets to loved ones while also having some peace of mind about your own health needs. If you’re nearing retirement age, now is a good time to have an initial consultation about advanced Medicaid planning. This is because you’ll have more options and be able to have greater flexibility with your choices. Why Do I Need to Think About Medicaid Planning Now? If you are relatively healthy now, you may think that you can skip out on the process of planning ahead for long-term care, but this is a mistake. What happens in the event that you sustain an injury or an illness requiring nursing home care and you don’t meet the asset or income test for Medicaid. For far too many individuals, the option is to pay for care out of pocket each month in the nursing home until they have spent down their assets enough in order to qualify for coverage. Monthly nursing home bills, however, can be more than $3,500 a month, meaning that your entire life savings can be decimated extremely quickly. It also leaves your loved ones, including a spouse, with no financial cushion or protection. It would be extremely frustrating and likely ashamed to feel that a lifetime of hard work and disciplined savings has gone to the waste, leaving your family without any form of protection. There is also no need to spend majority or all of your assets on nursing home care prior to qualifying for Medicaid coverage. There are safe harbor provisions that allow you plan ahead and protect your assets, but in order to do this, you must approach the planning process well in advance. This is one reason why you need to set up a consultation with an elder law planning attorney who has a focus on Medicaid. Planning now helps to minimize the chances of problems well into the future. If you have already encountered a long-term care crisis currently, it may be too late to take action, but planning ahead helps to protect your loved ones and your assets. Are you ready to start the process now? Contact our offices to set up a meeting. Should My Spouse Transfer All Of His Or Her Assets To Me To Qualify For Medicaid? 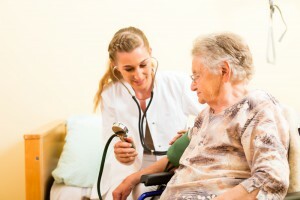 It is a bad idea to have a spouse make a major transfer of assets if he or she is going into a nursing home unless you have consulted with an experienced attorney. All non-exempt assets held by the wife or husband are held together and then divided between the two spouses for Medicaid eligibility purposes. The spouse going into the nursing home could be disqualified from receiving Medicaid until his or her portion of the assets is reduced significantly. 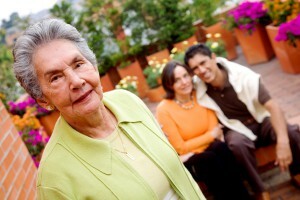 It is important to consult with an elder law attorney if you have questions regarding Medicaid. 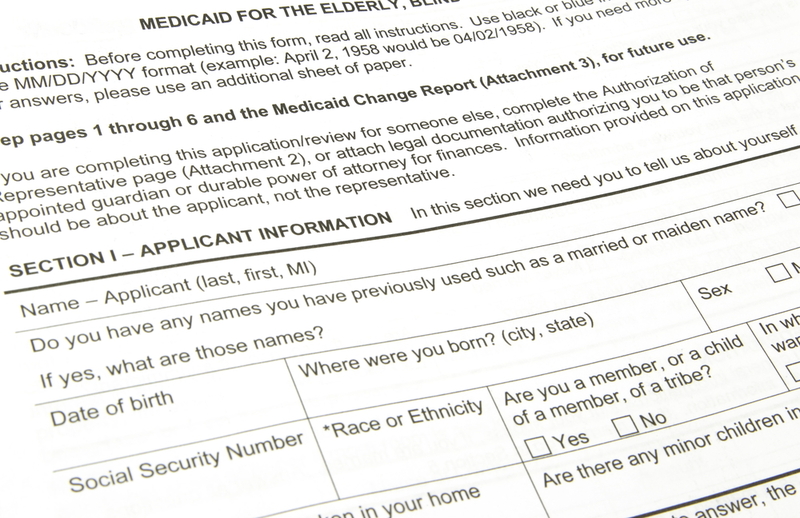 The lookback rule allows Medicaid to deny your application if you transfer assets for less than what would be considered fair market value within five years before your application for Medicaid benefits. Remember that if you do give away your assets it can be impossible to get them back by legal action. Do not assume that passing on your assets to your loved one allows you to get them back in the future if your loved ones do not want to cooperate with this. Consult with an elder law planning attorney to learn more about your options. 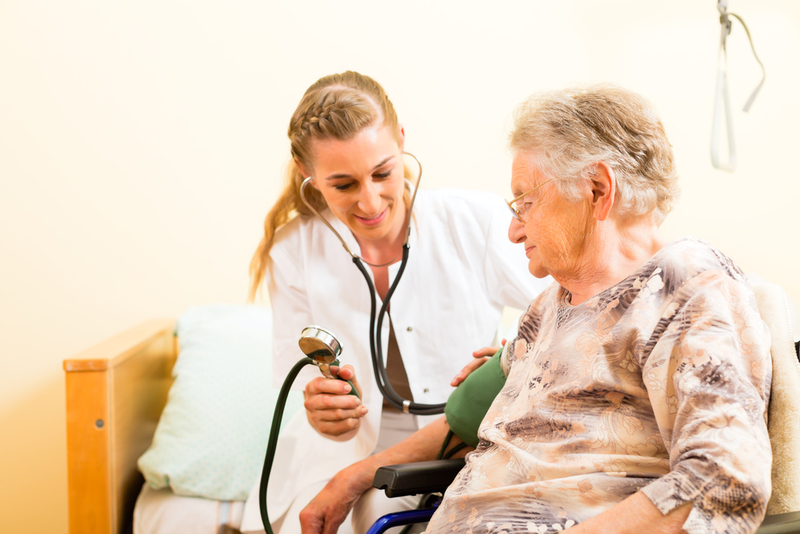 Medicaid planning involves a careful consideration of an individual’s assets to determine whether or not he or she legally qualifies to receive nursing home benefits for Medicaid. 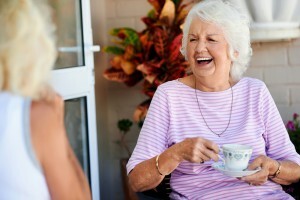 Many individuals who do not carefully consider this process or who do not have other significant resources to support them in their older years such as long-term care insurance, may have to use all of their personal assets and resources to support an individual who has suffered a healthcare event. 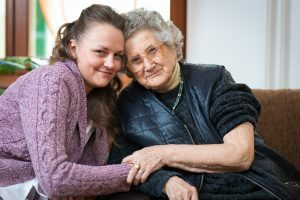 It can also be very problematic for individuals who have no other resources because family members can feel the pressure of having to provide for a loved one who needs nursing home care. 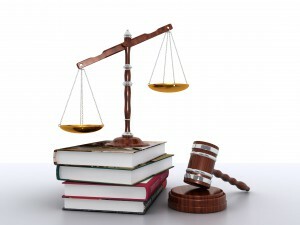 This is why it is a good idea to consult with a New Jersey Medicaid planning attorney. 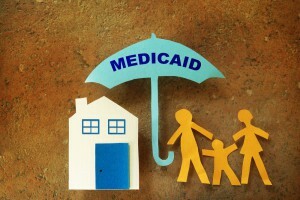 One of the most common questions considered in the Medicaid process is whether or not you should get rid of property. 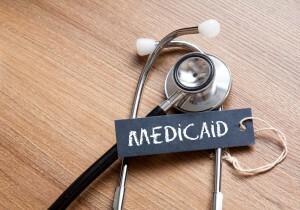 Bearing in mind that Medicaid has a look back period to explore whether or not you have attempted to give away assets so that you may qualify for Medicaid, it’s a good idea to consider your Medicaid planning well in advance. This allows you to take advantage of legal strategies that can help prepare you to qualify for Medicaid appropriately. 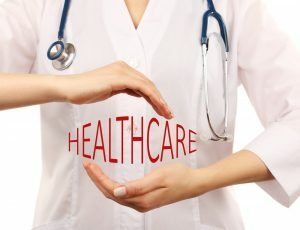 Even if you are not yet concerned about your healthcare and your need for potential nursing home care, you should consult with a New Jersey Medicaid planning attorney now to learn about all of your options. Putting a plan in place well in advance is the best approach. 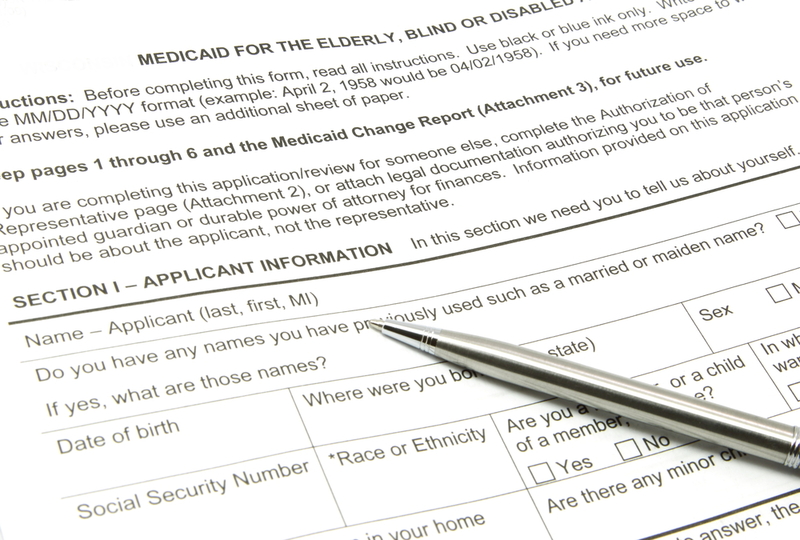 After discussing your Medicaid application and preparing for it in advance with your elder law attorney, there may be an appropriate time you should begin the application process. There are several things you should know about the Medicaid application process in order to set yourself up for success. One of the things that surprises most elderly individuals and their caregivers is the amount of documentation required for a Medicaid application. The more prepared you are, the easier it will be to submit this information and in the proper order so that you do not have any unnecessary delays associated with the application. The following items should be included with your application. As you can see, the Medicaid application process can be quite extensive and may be a bit overwhelming. Planning in advance of options you have with your assets as well as qualifying for Medicaid can be an important first step to discuss with an elder law attorney. With an aging baby boomer population, concerns about paying for long-term care are front and center for many people right now. This has also led to a burst of programs marketed to individuals at or post-retirement, promising to help with the Medicaid qualification process. When engaging in this, you should consider setting up a meeting with an experienced elder law attorney to walk you through how this process works and what you can do to prepare legally. Medicaid planning is full of intricacies and strict government requirements, so someone with a background in helping others accomplish similar goals is prudent. As a potential Medicaid beneficiary, it’s also helpful for you to understand how this government program can support your needs for healthcare now and in the future. Small mistakes can cost you in a big way, especially if you attempt to spend down assets without some insight from an elder law attorney. Since the federal program uses a look-back period to analyze how you might have disposed of any assets, an action you thought that might be helping you could actually delay the time period during which you become eligible for benefits. This is where an attorney’s counsel becomes so important: talk with your elder law attorney about what steps to take to better understand Medicaid and to legally qualify for it. Should I Just Give My Assets to My Kids To Qualify for Medicaid? In the event that you or your spouse are facing a long-term care crisis and are concerned about spending down your assets quickly in order to qualify for Medicaid, it’s important to be aware of some of the potential pitfalls of acting too fast without carefully considering your options. Individuals who are not familiar with the Medicaid qualification process might think that it’s a safe bet to pass on assets to children in order to reduce the volume of assets linked to the individuals attempting to qualify. Passing on these assets to children may be done with good intentions, but it can actually do more harm than good if you’re not careful. One of the disadvantages associated with transferring these assets is that doing so gives you no control over them in the future. Imagine a scenario where the child is sued and all of the assets are taken. Although this can be disheartening to think about, it’s also important to consider that giving away too many assets in an attempt to qualify for Medicaid can actually trigger a penalty. Medicaid looks back at gifts over the previous five years to determine if an individual has attempted to disperse assets in order to qualify for the government program. 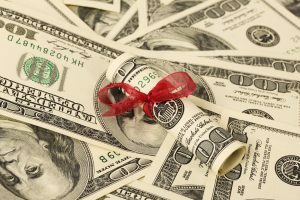 Since Medicaid is geared towards low-income individuals, if it is found that you transferred assets too aggressively in an attempt to qualify, a penalty may be calculated to determine the amount of nursing home care that could have been paid for with that gift. 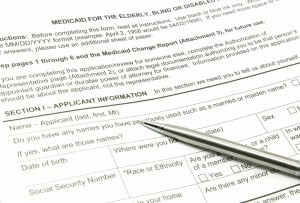 The applicant will be ineligible for Medicaid during a particular period if this is determined. While Medicaid is a critical program for most individuals facing a long-term care crisis, you need to apply for it and prepare for it under the guidance of an experienced elder law professional. Don’t take any actions until you’ve consulted with an expert- email us at info@lawesq.net. It’s not uncommon to discover that you have too many assets when you are first trying to qualify for Medicaid. In fact, as an increasing number of adults are helping aging parents, this is actually one of the biggest challenges in terms of preparing for long term care. In order to meet qualification guidelines, the applicant must have insufficient assets on their own. 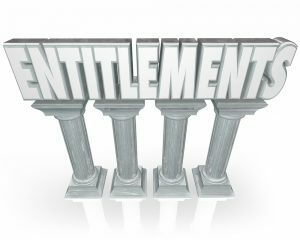 First off, make sure you work with an experienced elder law firm so that you are aware what assets should be “spent down” and which ones don’t have to be counted to begin with. Household goods, some prepaid burial and funeral expenses, the home, personal effects, and others may qualify as “non-countable” personal assets and shouldn’t be spent down. 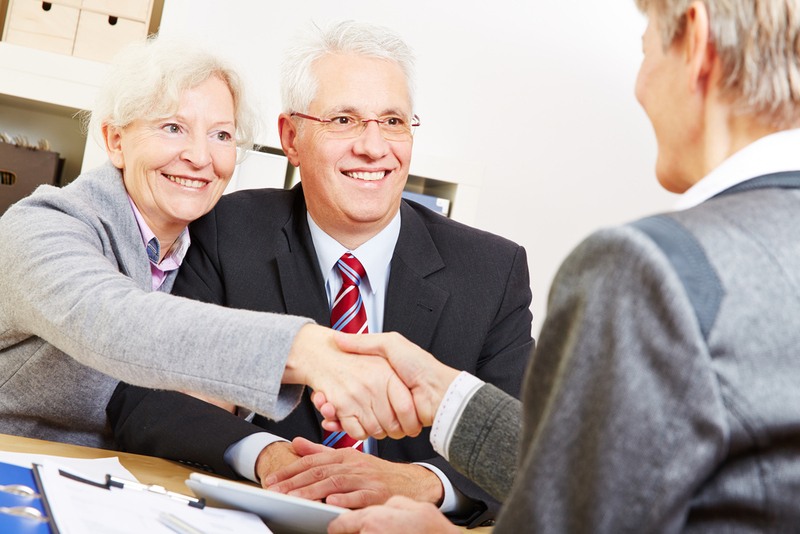 An experienced elder law firm can tell you what assets should be spent and which ones should be left alone. Payments related to non-countable assets may allow you to help improve your home, for example, which spending money that could count against you in terms of Medicaid. If your home is exempt, you may be able to make plumbing repairs that would be considered “allowable”. Funeral and burial expenses may be “pre-paid”, thus taking care of an important need ahead of time. Work directly with your estate planning specialist and elder law professionals to determine your state’s limits. Details are crucial in Medicaid qualification, so you should reach out for help as soon as possible to ensure that you are following guidelines. 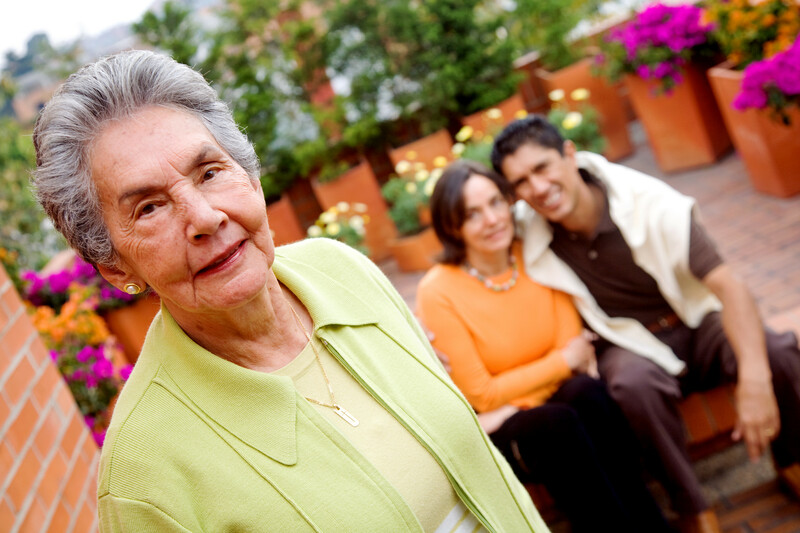 Contact our offices today at info@lawesq.net to learn more about Medicaid and other elder law issues.